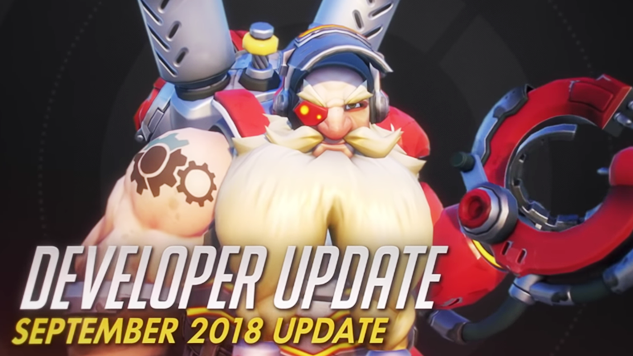 In the latest Overwatch developer update, game director Jeff Kaplan has given new information on the upcoming rework for Torbjorn. The rework was initially announced several months ago, but was put on hold so that the studio could focus on the Symmetra rework. Both heroes have been severely underplayed on the competitive Overwatch scene, but the community’s perception around Symmetra has slightly improved following her successful rework. Hopefully the same will go for Torbjorn when his rework arrives on the PTR. In regards to the rework, Torbjorn won’t drastically change. Armor packs are gone; they are no longer his secondary ability, so that marks the end of his scrap system. His new cool-down ability is Overload, which is similar to his old ultimate. Torbjorn will temporarily gain movement speed, damage resistance and an increased firing rate. This ability has been added in hopes that he will be more viable as a damage dealer. As for his new ultimate, it is still called Molten Core. The Overwatch team didn’t want to get rid of Torbjorn’s iconic battle cry that he shouts when he activates his current ultimate. With his current ultimate, there’s a moment where Torbjorn pours liquid magma into his hook hand; now, he will be able to shoot this liquid magma, creating pools that will cause powerful area of effect damage and increased damage to armor. The ammo utilized for this ultimate will be limited. Additionally, his turret will also change. Gone are the three levels to which you could upgrade his turret. The new turret will only have level two, and when Torbjorn deploys it, it will go through a small but fast build time. Torborn also deploys it differently now: Instead of just laying it in front of him, he will toss it, allowing the turret to reach inaccessible places it couldn’t before. It’ll be interesting to see what creative things players can come up with using this feature. Lastly, although Kaplan didn’t go into details in the developer update, Torbjorn’s gun will see some changes. Kaplan also shared that there will be hero balance changes, namely to modify Orisa’s gun, make Soldier76 and McCree more viable, and increase Pharah’s potential as a high-skill hero while decreasing the splash damage that would make it frustrating for lower-skilled players to play against her. Lastly, Kaplan stated that due to all the tinkering Blizzard has done with Overwatch’s user interface for the Overwatch League, the studio will now be able to implement improved colorblindness accessibility options. The studio is focusing on quality of life changes over creating new events, with a new social feature in the works that will likely come out sometime next year, and Kaplan hopes the Overwatch community will understand. Watch the developer update below.